Travel is wishing for one more bite of whatever that just was – do you agree? 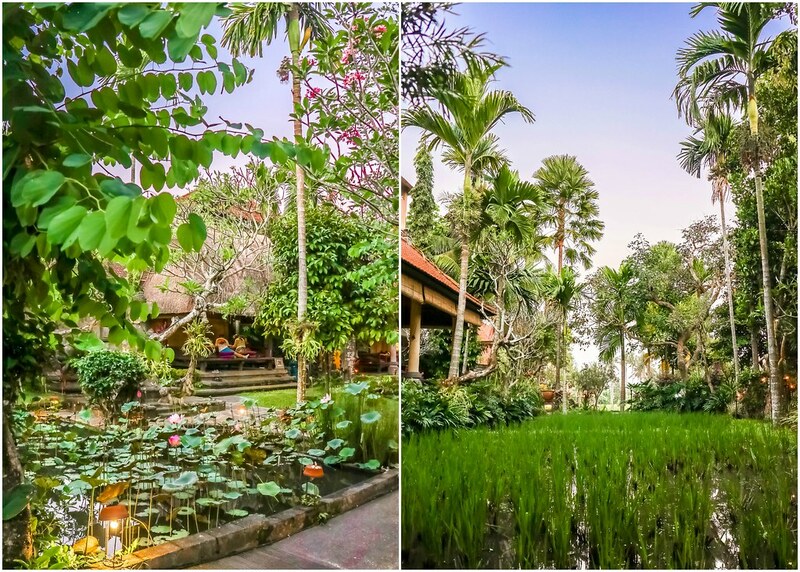 For me, the best part of any holiday has to be food, and Bali has the perfect blend of Balinese, Indonesian and international cuisine to please every palate and budget. While Seminyak has a flourishing café culture, Ubud places a strong emphasis on local delicacies, and these are 3 of my favourite restaurants in Ubud. 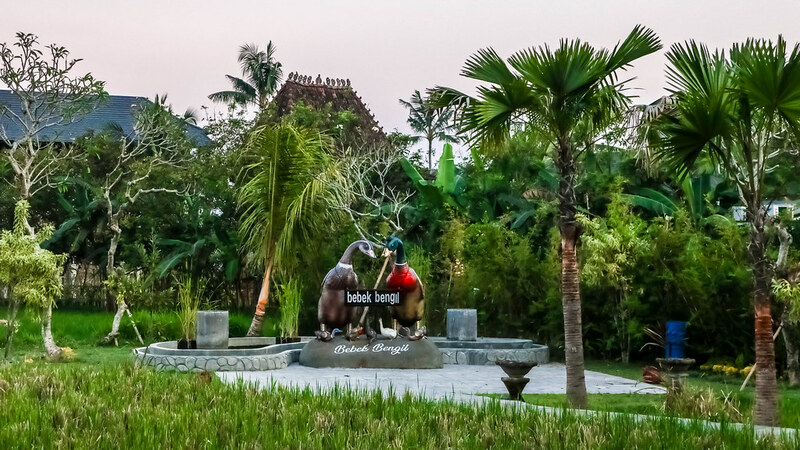 Opened since 1990, Bebek Bengil has been serving scrumptious food in a comfortable and relaxed atmosphere in Ubud. If you’re wondering why they named the restaurant “Dirty Duck”, here’s the story … One tropical monsoon morning when the restaurant was very close to opening its doors, a flock of ducks from the rice field across the road (fyi – there were rice fields all around the restaurant then) ran quacking and squawking into the restaurant and left their muddy footprints all over the place. These “dirty ducks” were the restaurant’s first guests. The comprehensive menu includes special orders such as the Indonesian Rijsttafel which you have to order in advance. Seeing that it’s a “dirty” duck diner, my friend and I tried the Bebek Bakar Sambal Hijau (127,000 IDR) and the Bebek Pelalah. (127,000 IDR). The former consisted of grilled duck slathered with green chilli sauce and served with sweet potato rice while the latter was drizzled generously with spicy Balinese sauce and served with steamed rice. The ducks were very well grilled, enticing our taste buds with their tender meat and slightly crisp and charred skin. However, we preferred the latter due to the fiery punch from the sauce. A “warung” is a type of small family business (eg. Small restaurant, small café or even a small neighbourhood convenience store) where many Balinese street side food vendors serve their food. 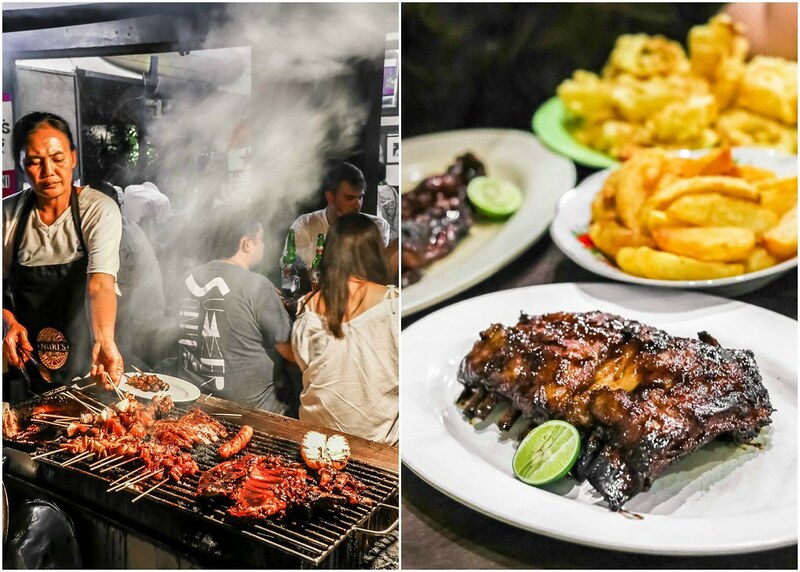 Naughty Nuri’s was opened in 1995 by an American expat and his Javanese amateur chef-wife, and some might have considered this warung a hole in the wall fronted by a smoking barbecue grill. 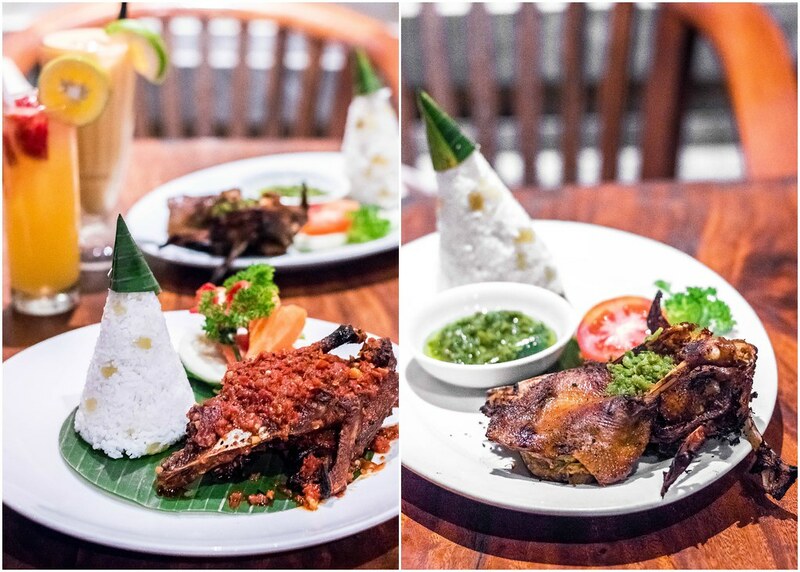 You will not find the typical Balinese meal here because Naughty Nuri’s is well-known for their barbecued pork ribs and martinis. The serving of pork ribs (130,000 IDR) for one person is huge and extremely satisfying. We love the tasty combination of Balinese seasoning and pork, charred and glistening. Although the ambience is casual, the prices are considered pretty high for the locals, but probably not for visitors to this tourist hotspot. If you are a fan of crackling pork, you cannot give this eatery a miss. The Special (70,000 IDR) set came with tender and juicy pork, crispy pork skin, fried meat, pork roll, sausage, vegetables and rice. It is recommended to patronize this eatery before lunch time because the pork skin is not as well prepared in the late afternoon. The Balinese marinade was good, and each mouthful boasted a burst of flavours and textures. 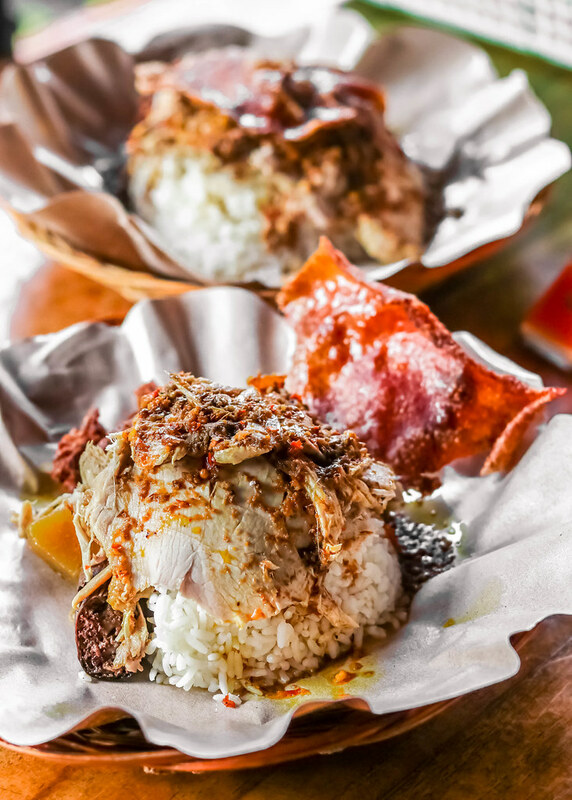 Many customers have voted them as the best crackling pork restaurant in Ubud. After savouring it ourselves, we find it hard to disagree. Our itinerary was super packed with chasing waterfalls and sightseeing, and it’s such a pity that we didn’t allocated a lot of time for meals. The driver we hired suggested Nasi Ayam Kedewatan and Murni’s Warung. We’ll have to try these on our next trip. If you’ve already been there before, do comment and share your experiences with us below. Oh yes! The food in Bali is delicious!